Hello! 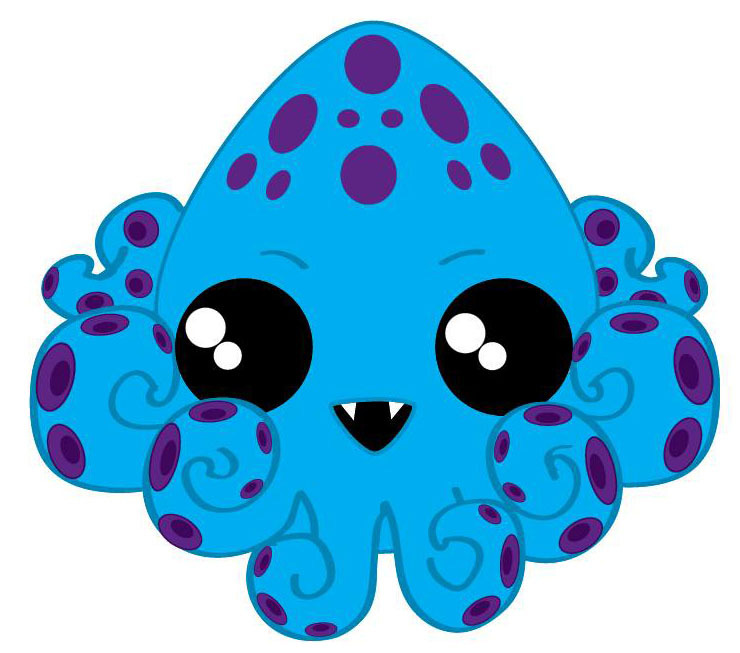 I am Kiki the Kraken and I am so excited to be the mascot for CaperCon!! I have eight arms that represent the different genres and aspects of a fan convention, like sci-fi and fantasy, or panels and cosplay. I am a really great multi-tasker, just like CaperCon! Some of my skills include expert level DDR, acting (you may have spotted me in a few movies before), and hugging, because who doesn’t need one of those sometimes, right? I identify as a girl and my favourite colours are blue and purple. I can also walk on land and swim in the sea, which are just two things that make Cape Breton Island so beautiful! The third is all of you! I hope I get to see you at CaperCon!